The first time you bought your Mac, you are fascinated with it because it runs very fast. Due to its snappy speed, you never have to deal about launching a couple of programs. However, speedy Macs don’t last forever. There will come a time when your Mac starts loading slowly and your computer cannot hold much of the disk space. If this suddenly occurs, you should really start doing some serious cleaning! The reason why you’re having a slow Mac is because you are keeping a lot of cluttered junk, installed several applications that you rarely use, launched applications at the same time, kept a lot of temporary internet files into your system, and much more. You may have to deal with this problem by using a Mac Cleaner. Having one will definitely save your day since it will do the bulk of the work without you doing anything. Still, it wouldn’t even hurt to fix some of the problems by using these easy guidelines on how to make your Mac perform its normal or faster speed. You bought a brand new Mac and installed a bunch of applications that you really need. You probably got used to launching these applications at the same time and there’s never been a problem in the past. Do remember that your Mac’s speed will start to deteriorate once your Mac is holding too much files and applications. Your Mac could not keep up any longer – what’s more if you’re opening a couple of apps simultaneously? Unless you bought the latest Mac model, your computer probably has 1 GB or 2GB of RAM. When you login to your Mac, there are a few apps that launch on its own because it was included in the Login Items. If some of these apps are unnecessary, you can actually manipulate them by going over the Login Items and uncheck those applications that you don’t want to launch when starting your Mac. Opening a couple of windows when browsing the Internet is another cause of slow Mac. Although you’ve opened several tabs from your Internet browser, but you still notice that your Mac continues to process very slowly. What’s worse is that your Internet connection is also slow. See to it that you launch at least four tabs so that loading of your Internet pages never slows down. But if your Mac continues to slow down, including your Internet connection, your last resort should be clearing out your history and cache files from your temporary internet files. You probably don’t realize this but every time you browse through the Internet, all of these information are stored in your history and your cache files. Since these files are hogging up disk space, it’s time to wipe them away. By default, Mac users are fond of using Safari because it’s what they are accustomed to. However, with your slow Internet speed and your slow Mac, you definitely need to do some major changes – and that is to swap internet browsers. If you have not heard of Mozilla Firefox and Chrome, then you should really try to test them now. They are much faster to navigate compared to Safari. Try installing them to your Mac and use them as your default Internet browser now. Face it: your Mac really needs a good clean. This is actually a good solution to your problem because you probably didn’t know that your Mac is actually holding a huge amount of disk space. Cleaning your Mac means you have to wipe away any duplicate files and folders which are considered junk, and old data and forgotten applications and software which you rarely use. All of these are taking up space. Having a new Mac does not necessarily mean you have to fill it up with whatever applications you can find. Your Mac still needs room to breathe – it needs free disk space so that it performs faster and quicker. For instance, if your Mac has 250 gigabytes of disk space, don’t expect it to run as if its new if you’re going to load it with dozens of software and applications. Do clean your disk space if your Mac now has less than 50% of disk space. A Mac Cleaner will actually save your Mac from total disaster. There have been a lot of instances where Mac users have to buy new ones because their computers are functioning very poorly. They didn’t know that a simple clean up will do the trick to make their Macs running smoothly. However, they never discovered Mac Cleaners so they let all their junk files rot inside their Mac until it consumes their disk space. A Mac cleaner will do the difference. To boost up your Mac’s speed, you really need a reliable Mac cleaner. However, finding a good one requires a lot of homework, a lot of research. To get one for your Mac, you have to invest and spend money. If money is your issue, you don’t have to buy a Mac cleaner since you can manually do the maintenance. Still, it takes too much work and you cannot do everything alone. Are you willing to risk deleting old files and applications when you are unsure if they should be deleted in the first place? It would be better to spend money on a good Mac cleaner to get better results than doing the bulk of the work by yourself. If you are still unconvinced, there was a Mac user who managed to clear out 45 GB of disk space all thanks to a Mac cleaner. His Mac was only 8 months old, but the user sees the need for a cleaner to further enhance his computer’s speed and performance. Without hassle, the Mac cleaner did all the work while he has more time to watch TV and do all sorts of errands. That is really amazing! 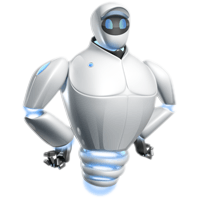 So don’t hesitate to get your own Mac cleaner because it will help save your Mac any day!